“Be careful what you wish for,” is the lesson in this entertaining musical adaptation of Tomie dePaola’s picture book about Strega Nona, or “Grandma Witch.” Based upon three of the author’s books for children, “Strega Nona,” “Big Anthony and the Magic Ring” and “Strega Nona’s Magic Lessons,” this delightful musical is a treat for all ages! 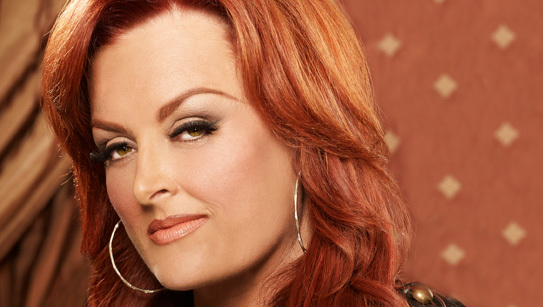 Five-time GRAMMY winner and New York Times bestselling author, Wynonna brings her engaging, soulful, bluesy voice to our own Arlington Music Hall. The Xi Theta Omega Chapter of Alpha Kappa Alpha Sorority, Inc. and The Arlington Foundation for Excellence in Education, in partnership with the Business Department of Tarrant County College, will host its 19th Annual Arlington Family Expo. This unique, complimentary family-focused event provided valuable resources to almost 400 people in and around Tarrant County. Please see the link for details and registration. Monster Jam is an incredible family friendly experience starring the biggest performers on four wheels, Monster Jam monster trucks! These twelve feet tall, ten thousand pound machines will bring you to the edge of your seat, racing and ripping up a custom designed track full of obstacles to soar over – OR smash through! The biggest names in the sport are all here, straight from their TV show on Speed and their popular toy line from Mattel toys. Arlington Parks & Recreation is giving away hundreds of dollars’ worth of Naturally Fun Prizes! To enter, simply subscribe to Naturally Fun Texts. On Friday, April 10 give randomly selected subscribers will win one of five great prizes!